May 2016 – "And another thing…"
This is not a blog as such, but a collection of statements made by the Church, or by church leaders, regarding scripture. 7a.Scripture is an indispensable witness to the Eternal Source of light and truth, which cannot be fully contained in any finite vessel or language. Scripture has been written and shaped by human authors through experiences of revelation and ongoing inspiration of the Holy Spirit in the midst of time and culture. 7d. Scripture, prophetic guidance, knowledge, and discernment in the faith community must walk hand in hand to reveal the true will of God. Follow this pathway, which is the way of the Living Christ, and you will discover more than sufficient light for the journey ahead. “Besides putting our history in perspective, we need to deepen our understanding of the nature of scripture. For this part of our journey we need a light and a compass. Our light is the witness of the Holy Spirit that illuminates divine truth. Our compass is the church’s “Statement on Scripture” that provides reliable direction. Basic to the “Statement on Scripture” is the understanding that scripture is an amazing collection of inspired writings that is indispensable to encountering the Living God revealed in the Living Word, Jesus Christ. Scripture speaks with many voices, including testimonies, stories, poetry, metaphors, commentary, and parables. All of these ways of communicating point us to divine truths beyond the ability of any language to express fully. Scripture is authoritative, not because it is perfect or inerrant in every literal detail, but because it reliably keeps us grounded in God’s revelation. Here is the heart of our challenge. Over the last several centuries a doctrine of scripture emerged in Christianity that insists that all scripture—every single word—was dictated directly by God and is inerrant in every detail. This belief emerged as a response to the questioning of religious authority from those who held that human reason alone was the most reliable pathway to truth. So, a doctrine of scripture emerged that enshrined the literal words of scripture as inerrant and as the sole authority on all matters. However, that doctrine is not how scripture was understood in Christianity for many centuries after its birth. It is not how Jesus used scripture. And, it is not how Community of Christ officially views scripture today. The church affirms that scripture is inspired and essential to our knowledge of God and the gospel. In addition, we believe that scripture should be interpreted responsibly through informed study, guided by the Spirit working in the church. Scripture was formed by the community to shape the community. Therefore, interpreting scripture is the constant work of the community. In other words, understanding and applying scripture is not just a matter of reading a passage and deciding on our own what it means. Community of Christ also stresses that all scripture must be interpreted through the lens of God’s most-decisive revelation in Jesus Christ. So if portions of scripture don’t agree with our fullest understanding of the meaning of the revelation of God in Christ, as illuminated by the Holy Spirit and discerned by the faith community, the teachings and vision of Christ take precedence. This principle applies to all of our books of scripture, especially any passage used by some to assign God’s disfavor, negative characteristics, or secondary roles to others. As the church tries to interpret scripture responsibly, it seeks the help of the Holy Spirit. Jesus promised that the Spirit would guide his disciples into new truth (John 16:12–15). By the Spirit, the ancient words of scripture can become revelatory, allowing us to grasp what may not have been seen or heard before. Disciples are called to grow in their knowledge and understanding of the scriptures so that they may ever increase in love for God, neighbor, and self (Matthew 22:37–40; Mosiah 1:49), uphold the dignity and worth of all persons (Doctrine and Covenants 16:3c–d), and faithfully follow the way of Jesus Christ. For our time we shall seek to live and interpret the witness of scripture by the Spirit, with the community, for the sake of mission, in the name of the Prince of Peace. This blog is an expression of my own ideas. 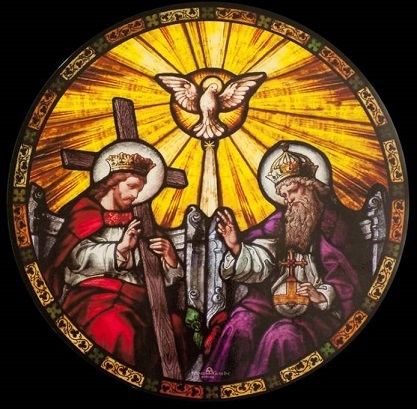 The church that I belong to, Community of Christ, teaches that God exists as a community of three personages, the Father, the Son, and the Holy Ghost. The latter is now commonly termed the Holy Spirit. I don’t have any objection to this view of the trinity being a position of the church, and I’m not at all finding fault with, or rebuking the church, for advocating the existence of the trinity. This blog is merely an exploration of my own thoughts. 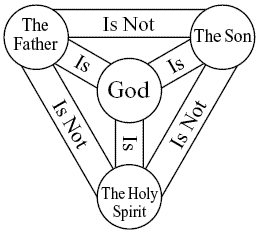 In my own opinion, there is no such thing as the trinity. There is only God. For most of my life, I have really struggled with the concept of the Holy Spirit, as a distinct aspect of God. 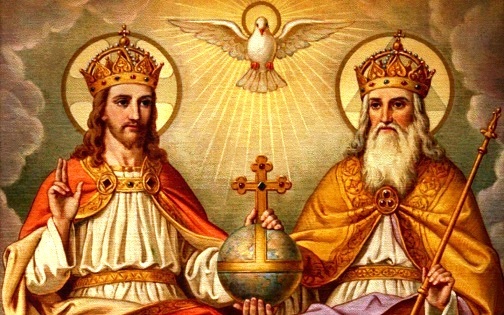 I would joke that I did not believe in the Trinity, but in the “Duity”, or the “Holy Twinity”. My issue with the Holy Spirit was that I could not conceive how the Holy Spirit is different from God (or, more specifically, God the Father). If Jesus is the “Son of God”, or God incarnated, then, in my view, the Holy Spirit is just God the Father. If mythological gods were real, Zeus, when traveling abroad, interacting with mortals, would still be Zeus. He would not be Bob. He might tell people he is Bob, and we might understand him to be Bob, but he is still Zeus. Whether he is physical, intangible, wandering the Earth, or sitting on his throne in Olympus, he is just Zeus. Viewing a manifestation of Zeus, as being a different aspect, just makes no sense to me. And, it did not make much sense to me with regard to God. The Father might dwell in His Kingdom, but when God decides to comfort someone or be present in our world, through what we understand as being the manifestation of the Holy Spirit, it is not a different aspect of the Godhead, distinct from the Father, but it really *is*, in every sense, the Father. He does not need to be known by a different name. He does not need to be regarded as a separate entity of the godhead from Himself. It just does not make any sense. More recently, I’ve come to view that the same is true for the Son. Yes, God did manifest as an incarnated being, that we call Jesus Christ. And Yes, Jesus Christ is God. But, he is not a distinct aspect of the Godhead from the Father. We call Christ “the Son of God” – but he is not the son of the Father. He *is* the Father. This is the glorious thing about Christianity – God, the very God that we traditionally term the Father, is not a far off distant being that is cold or unloving. On the contrary, the Father loves us so much, that the Father Himself came down and dwelt among us as a human being, in the form of Jesus Christ. I came to have this understanding of God by reading two passages from the Book of Mormon. The Book of Mormon teaches us that the Father and the Son are in fact the same. Jesus is not the Son of God. He is called the Son of God, but he is not actually the Son of God. Jesus is God. And the Son and the Father (and the Spirit) are not different aspects, or components, or personages, or whatever, of the godhead. There is just God. We understand God as consisting of the Father, the Son, and the Spirit, but this is just a tool to help humans understand what is not easy for humans to understand. But in actuality, God is just God. 93 Now Zeezrom saith again unto him, Is the Son of God the very eternal Father? Note that, these two passages exist to teach us something about the nature of God. There are many verses that speak of “the Father, Son, and the Holy Ghost” (or some variant), but such usage is almost always secondary or even tertiary to the main point of the verse in question. But, in the two passages quoted above, the wording of each makes it clear that a specific teaching about the nature of God is being given. It is true that neither of these two passages mentions the Holy Spirit, but we can reasonably conclude that if the Son and the Father are the same aspect of God, we can say the same for the Holy Spirit. I actually thought this was an interesting idea, to understand the Holy Spirit not as a distinct aspect of the godhead, but as the shared mind of the Father and the Son. However, the Lectures of Faith were removed from the Book of Doctrine & Covenants a very long time ago, in 1897 (the LDS church following suit in 1921) and therefore are not authoritative. And of course, this notion of a shared mind presumes that the Father and Son are distinct, which according to what *is* regarded as authoritative scripture, they are not. There are of course many verses of scripture that suggest that the Father and the Son (and the Spirit) are distinct. I’m not pretending that such is not the case. However, most of these scriptures are not teachings about the nature of God, at least not in the sense that we might think. Does the above passage teach us about the nature of God (in the context of the Trinity)? We might think it does, perhaps at least to some degree. But, what is it’s primary purpose? Is it *meant* to be a teaching about the nature of God? Was it given for that purpose? It should be obvious that the above passage was intended to be instructional, with regard to the mode of baptism. Yes, it does make references to God, but it was not provided to be a specific, overt, direct or explicit “teaching” about God’s nature, but rather to bring uniformity to what should be said during one of the sacraments of the church. Most of the scriptures we can think of that suggest to us that Jesus and the Father are different, are of a similar nature to the above (not in purpose, but lacking as intent, a desire to convey a specific teaching about the relationship between the Father and the Son). But, the two passages I quoted are *directly* providing information regarding God’s nature. So, after making his opening remark on this subject, he provided further information, by actually giving us an explanation for why God is sometimes regarded and known as, the Son. 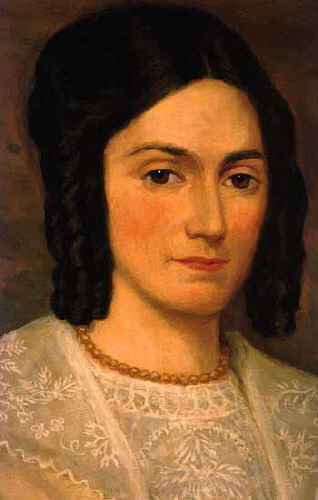 In the Book of Alma, Zeezrom specifically asks about God’s nature. Knowing what these passages teach, and what the purpose of each is, and understanding that most verses that suggest, at first glance, that God exists in multiple aspects, but which generally do not exist for that express purpose, which, on such questions that we are exploring, must take precedent? 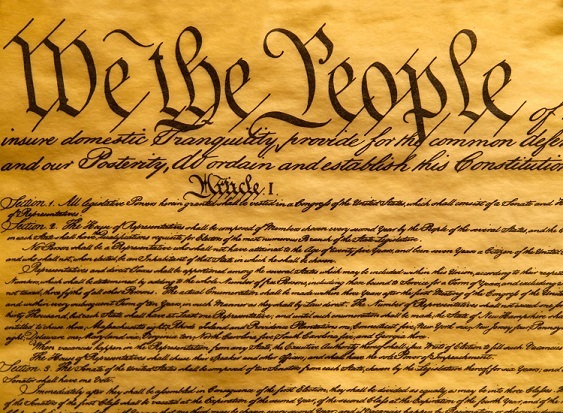 Which are, on such matters, the most authoritative? In my opinion, reason, logic, & common sense must inform us that the only plausible answer is that passages that exist for the direct purpose of teaching us about God’s nature must trump any verse that does not. It just makes no sense to conclude otherwise. If you want to know if the Father and the Son are the same or distinct, what verses should hold more weight? Those that exist for the express purpose of informing us on such things or those that exist for some other reason, and just happen to make references to them being separate? But what then becomes potentially problematic for some people is that we then seem to have scriptures that are contradictory. 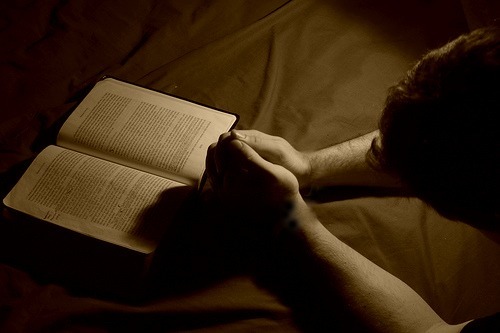 We have scriptures that record that Jesus prayed to the Father in the Garden of Gethsemane. Was he praying to himself? The suggestion that maybe he was, is probably going to be dismissed by many people as absurd. But, that is to then overlook what the real purpose of his prayer might have been. 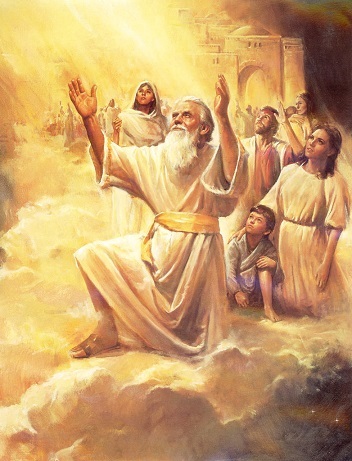 Was he trying to teach his disciples something by leading by example, and seemingly praying to the Father? I suspect that when God incarnated Himself, He made that measure of Himself subject to the human experience. He (the incarnated form of God) possibly felt fear. And a need to be assured, prepared, etc. And so, he prayed. The incarnated version of God communing with the divine spirit. So, in a sense, he was praying to himself. This might seem silly if we fail to recognize that in that moment (and all through Christ’s life) God existed in multiple states or conditions at the same time, and therefore, it is not at all unreasonable to conclude that 1 state would communicate with the other. 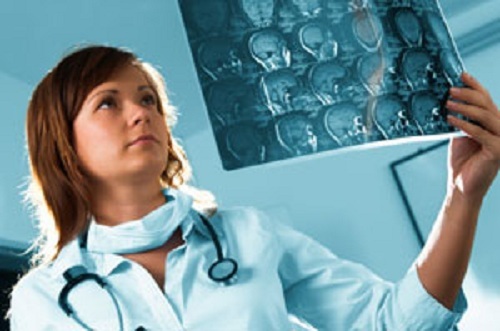 We might think of as the left side of our brain speaking to the right side and vice-versa. Jesus praying to God. I have my doubts that the disciples truly understood who Jesus truly was. But, they did know that He was the Messiah. And to understand that the Messiah himself turned to God, in prayer, admitting to fear, would, I feel, be a powerful lesson for them. Whatever the real reason, the existence of this story in our Bible is certainly not an absolute, unarguable indication that the Father and the Son are separate. This verse would seem, at first glance, to imply that the Son is distinct from the Father. In fact, it goes one step further, and implies that the Son is not God, which of course, undermines the very concept of the trinity. So, even for those who accept the existence of the trinity need to accept that the real purpose and meaning of this verse is something different from what we may initially think. Which fact reminds us that it is always a good idea to ponder scripture. So what was the purpose of the above verse? I can only theorize, but perhaps there was a desire to teach the rich man about humility. When we read the Gospels, it seems that Christ sometimes preferred for people to not know who He was. So, this might be an example of Him avoiding acknowledging who He was, and then taking that opportunity to make a point – fostering humility, etc. It is certainly not an absolute, unarguable indication that the Father and the Son are separate. There several other verses from scripture that seem to imply that the Father and the Son are distinct. This is not unexpected, when we consider the culture and era in which our ancient scriptures were written. The people who became the Israelites could not accept that God could dwell among His own creation as a flesh and bone incarnated being. This is why Jesus was a bit vague about who He was. 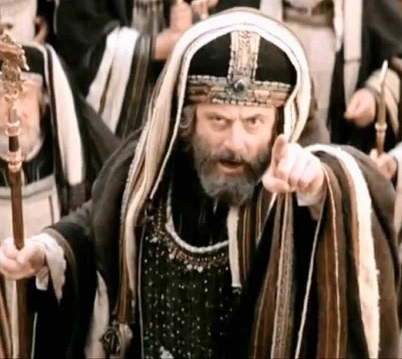 He did not go around yelling “I am the very eternal God, the Father, etc”., because he knew that the Judeans in his own day, even those who saw His power, would have a hard time accepting that the person they walked with on the roads, ate with, shared camp fires with, saw running off to a tree from time to time, was God the Father. But, given what was revealed in the Book of Mormon about the nature of God, why do we continue to use such terms? I’d say its about honoring and reinforcing three major roles that God plays in our lives: creator, redeemer, & sustainer (but we use the original terms of Father, Son and Holy Ghost to honor tradition and to impress upon us that God is not just some divine force but the head of our family. Father and Son suggest a family bond). This is similar to how God, to clarify which god is being discussed (the real god vs. all false gods) is sometimes called “the God of Abraham, Isaac and Jacob.” Why not just say the “God of Abraham?” why list all three patriarchs? To honor God’s blessings upon them, and by extension, the nations that are descended from them, genetically and spiritually. I had an interesting conversation with someone once about this very topic, and he kept giving me different scriptural verses that suggest Christ and God are not the same, asking me, each time, to reconcile them, which I did by saying something similar to what I posted above – that the use of “Father, Son & Holy Ghost”, etc. was used because that was how human beings needed and perhaps wanted, to understand God. The implication being, if that is the reason why we see “Father, Son and Holy Ghost” in one verse, it is also the reason we see it used elsewhere. And it is simply beyond the scope of this blog to explore every single verse that suggests that the Father and Son are different, and try to reconcile them to my position. It suffices to say what I’ve said, and also to consider the following. Once again, the passages I quotes are direct teaching about the nature of God. 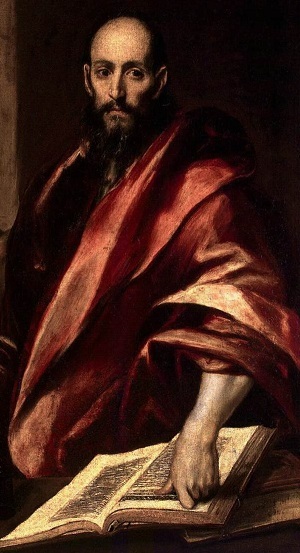 Therefore, if someone does not think that the Father and the Son are the same, but who does accept the authority of Restoration scripture, the onus is then on them to explain what those passages mean, since they are direct teachings about God’s nature, and the other examples that tend to pop up, are not. Also, we need to understand that part of the purpose of the Book of Mormon is to clarify doctrine, etc. So, its only plausible, reasonable, rational, logical and reflective of common sense too conclude that verses of scripture that only are present because they are specifically intended to reveal something about the nature of God, found in the Book of Mormon, which exists in part to clarify scripture, take precedence over other verses. 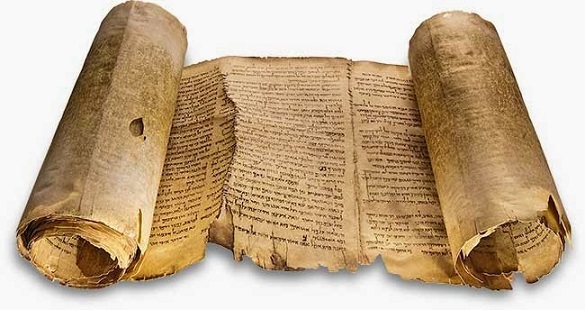 Therefore, instead of trying to reconcile the teachings of Abinadi and Amulek to other scriptures, we need to reconcile the latter with the former. So, in my view, any verse that, at first glance, seems to suggest that the Father and the Son are distinct, can be understood either in a way I’ve already stated, or, if not a “Father, Son and Holy Ghost example” (such as what Christ told the rich man), via an explanation unique to the verse in question – likely to model some particular principle, teach by example, etc. Even if a particular verse or passage seems to defy a different understanding than the obvious, we still need to understand that the Father and the Son are the same, given that we have verses that tell us they are, and they naturally take precedence, for the reasons I’ve already stated, over those that don’t. Simply being unable to explain the real meaning of a verse is not sufficient basis to conclude that no deeper meaning exists. As we continue to grow in our understanding of scripture, it is only natural that new insights will be gained over time. We’ve gained new insights into many passages of scripture before, but prior to gaining them, we would have had no cause to conclude that we would never achieve them. Another thing to consider is this: We believe in only one god. There is no god other than God. God is a unique, infinite, divine being without beginning or end. Why would such a being need to exist as a threefold entity? It is not rational for God to exist as “father”, “son” and “spirit”. 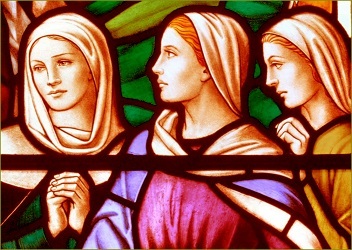 Some people view the personages of the trinity as “creator, redeemer & sustainer”. I like these words, as they remind us of some of the major roles that God has in our universe. But, in my view, they do not describe different entities within the godhead, that are distinct from each other, but just different ways that we understand God, who exists as just one aspect. In my own personal opinion, the concept of the trinity is a juvenile one. That is not at all to be taken as me suggesting that any person or institution that believes in the trinity is juvenile. Rather, I simply feel that this is a concept within Christianity-at-large which will one day be discarded, and which, looking back on it many years later, will be regarded as a belief that prior Christians held to help them grasp God, and which, having been for so long a pervasive part of our shared Christian faith, was something we just felt we ought to cling to. But, as Christianity continues to mature, I feel this concept will eventually be set aside, in much the same way that many Christians today no longer believe that the world is only 5,000 years old. As I noted at the start of this blog, I don’t take issue with, nor do I challenge, the church’s stance on the godhead. However, if the church were to invite it’s membership to engage in an exploration of this topic, with the possible intent of revising our position, I would probably want to point out the following. 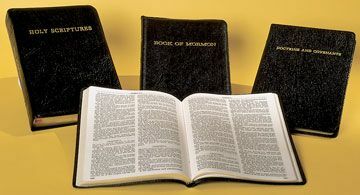 The church upholds the Book of Mormon as scripture. 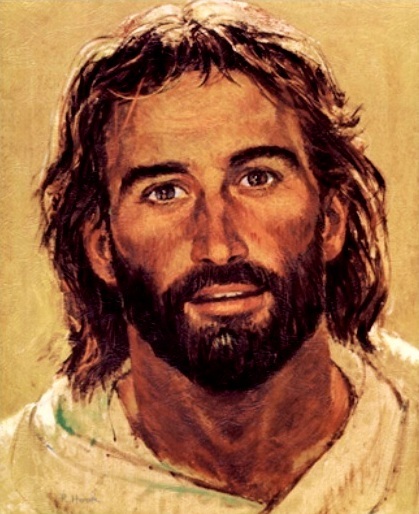 Therefore, the passages from the Book of Mormon, having specific statements about the nature of God (of the context previously described) should take precedence, and as a result, a change in position, to recognize Jesus Christ as God, in every sense, not simply the Son of God, not even as an aspect of the godhead equal to the others, but just God, would be in order and perfectly acceptable, being in harmony with what we uphold as forming part of our standard of authority and sacred canon, and which exits, in part, to clarify doctrine. Female Ordination – Did We Make the Right Choice? This is a re-formatted version of one of my prior blogs, originally posted in four separate entries. This is a one page version. If you would prefer to read it as originally posted, view the first part here. The reality is, God has made many changes, as we can see in my prior blog God’s Changes – we accept these changes, therefore, we can accept other changes – especially when there really is no prior scripture that legitimately opposes female ordination.